ສົ້ມໝູ som mu is pickled pork. You'll find it in Lao and Vietnamese cuisine. 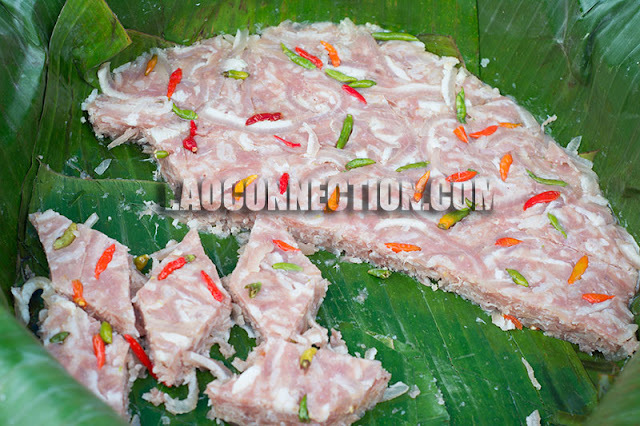 Sometimes it's ground up and added to a Lao rice dish called nem or sometimes it's eaten on its own as a light snack with sticky rice. Some people will even cook it further on a frying pan before eating it with rice. 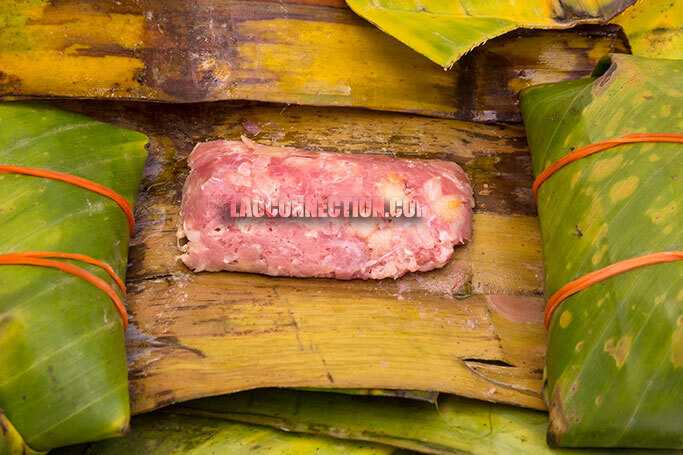 In the picture above is a large round portion of som mu wrapped in banana leaf. However, you'll more commonly find it in individual wrapped sizes, as shown below. The ingredients are essentially ground pork meat, thinly sliced pork rinds, and a type of pickling salt that aids in the pickling and fermentation process. The end result is a slightly sour but delicious product. And if done correctly, the high acidity and air tight packaging prevents bad bacteria or mold from developing.